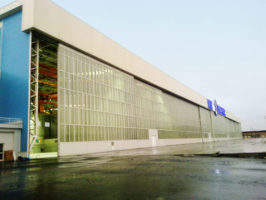 Mekon Paneel, based in Ankara, Turkey, produces high quality airplane hangar doors and helicopter hangar doors. The firm also produces electrically operated commercial doors and garage doors in its factory, established in 1975. 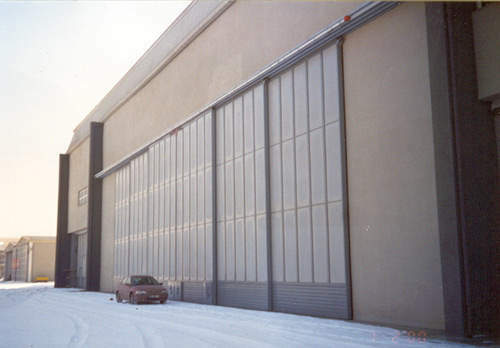 The firm is a supplier of door products for many military and civilian aeronautical projects. This strong door has a lightweight design and is suitable for many types of hangar applications. The special construction of the door enables it to be cladded with various types of materials including heat isolation, noise isolation and different glazing options. This type of door also offers low-cost alternatives for most of the standard applications. 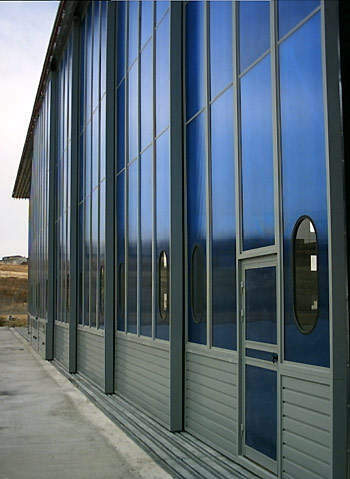 This type of door also supports various types of cladding and glazing. The angular positioning of the door panels when in the closed position maintains higher durability against wind forces, so that the side-folding sliding door type is more efficient in high doors. The vertical arrangement of door panels in the open position makes the door more compact and the door can be opened from both sides. 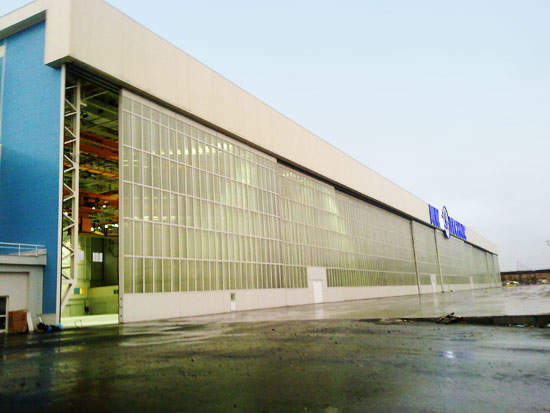 This door type is applicable in hangars, which have no assembling place at the sides for the door panels. 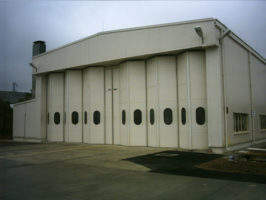 The door panels, which are hinged together and move on a single rail system, can be cornered towards the inner or outer side of the hangar sidewall. 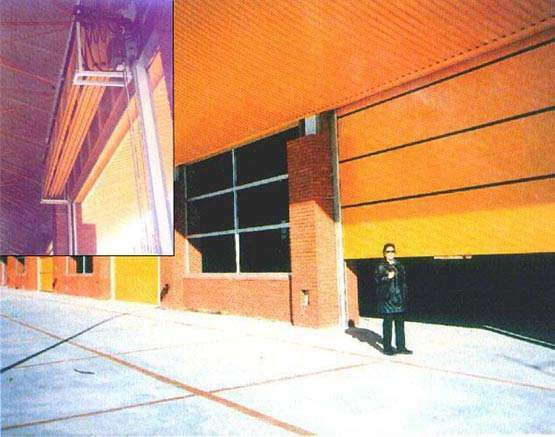 This side cornering sliding door also provides the same advantages as the side-assembling door of supporting various types of cladding materials. This is an overhead type of door, in which the door panels rise vertically upwards and stack side-by-side on a compact console. If door panels need to be assembled on top, this door is the best choice since the open form is very compact and does not take up much space in the building. Each type of door has electrically operating devices and appropriate safety devices attached to it. The installation job consists of fixing the pre-manufactured frames together on the field and putting the door over the rails, followed by the tests. The job lasts a very short time compared with traditional installation methods. As a result, the airport apron is not occupied for a very long time and foreign object damage (FOD) formation is prevented since there is no cutting, drilling, welding, etc. carried out on the field.